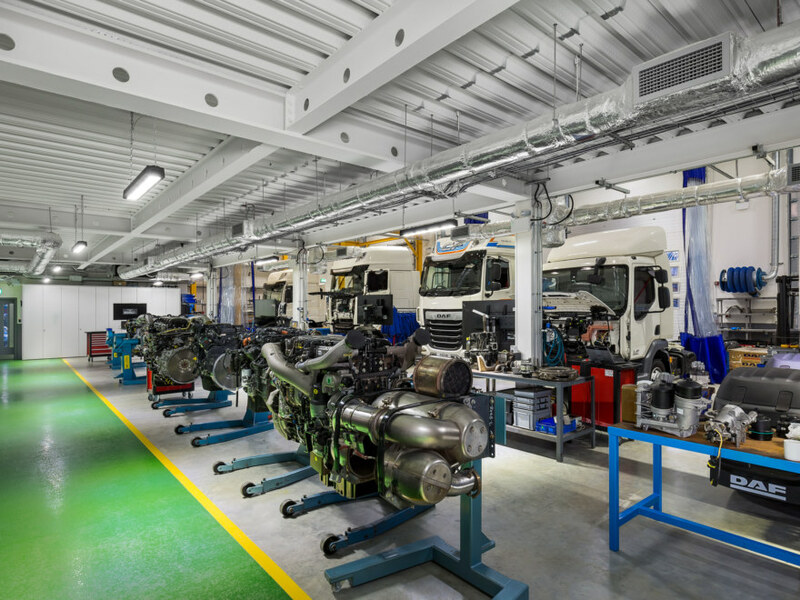 DAF Trucks is recognised internationally as a manufacturer of high-quality trucks and vehicles that top the market throughout the UK. 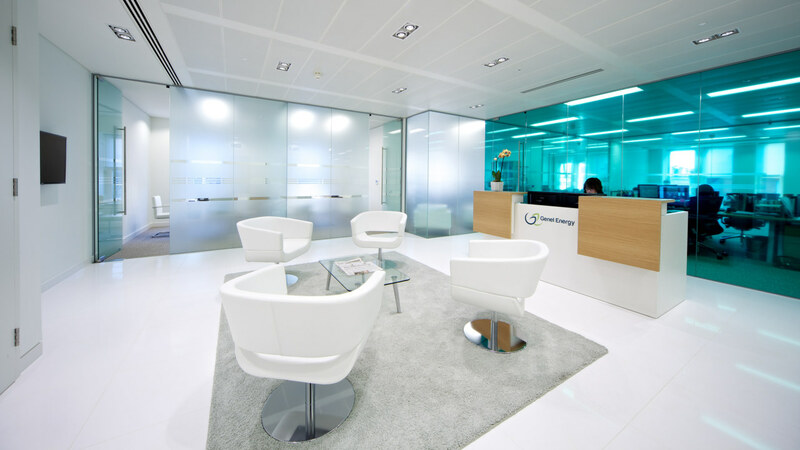 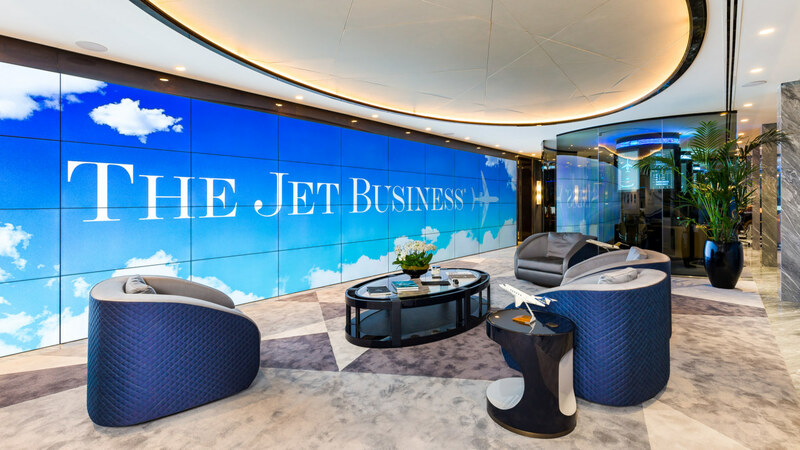 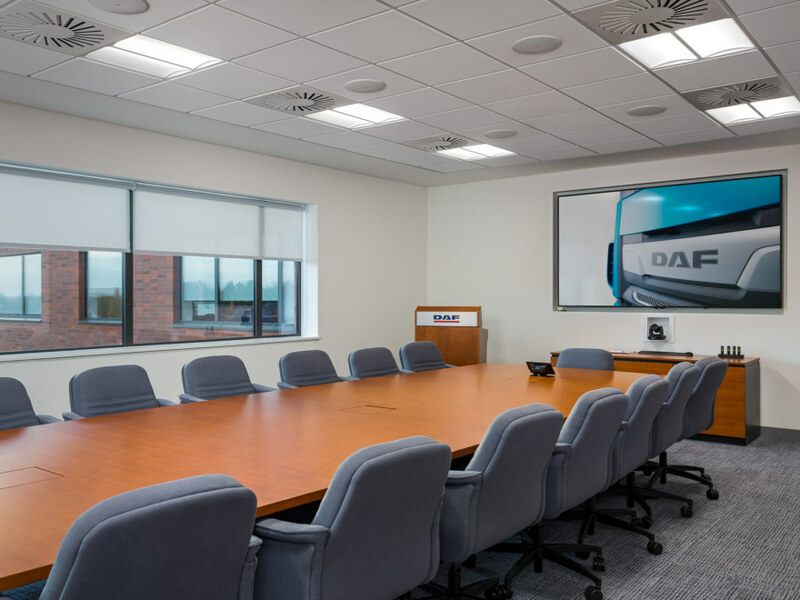 They appointed us to deliver their new UK headquarters in a similar style to their other existing sites across the world. 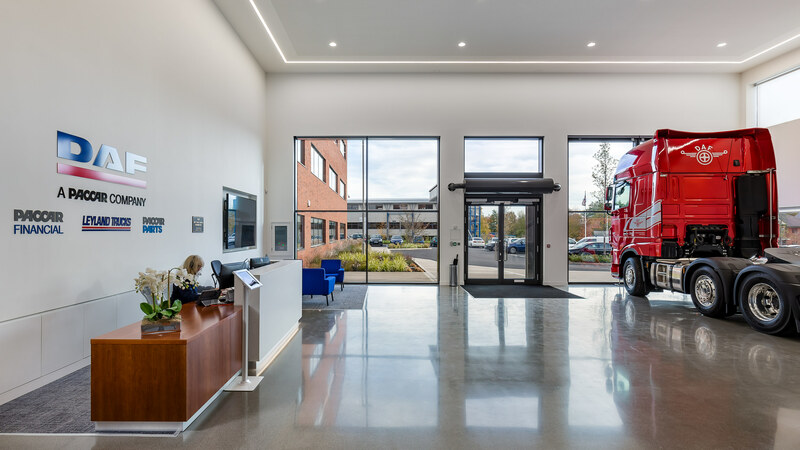 Together with Maze, we developed the new three-storey building in line with DAF’s vision to create a world class facility to house and train their team. 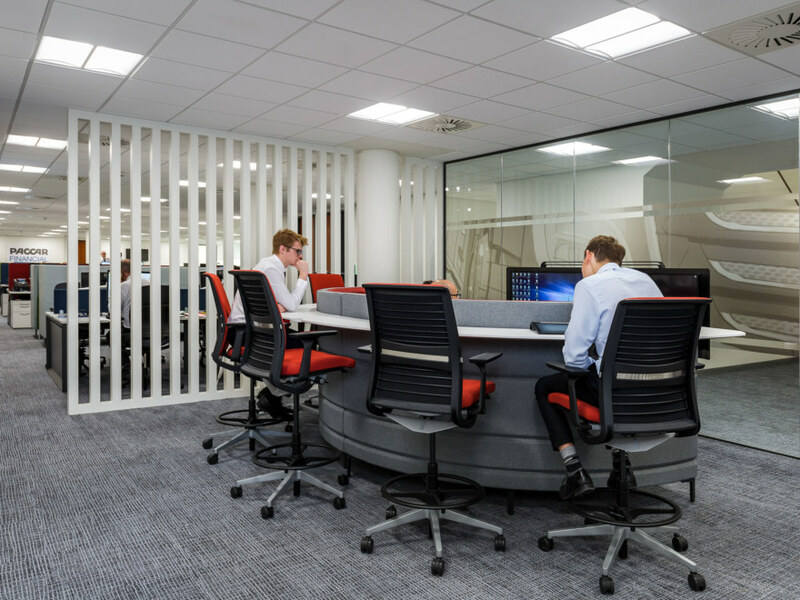 Working with Maze’s design, our team developed 3D models and visualisations to assist with the dimensions of the project. 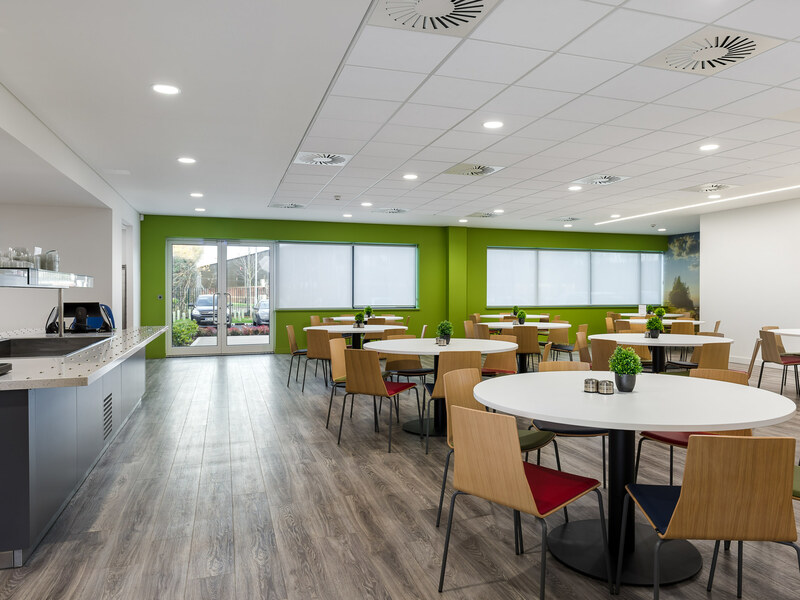 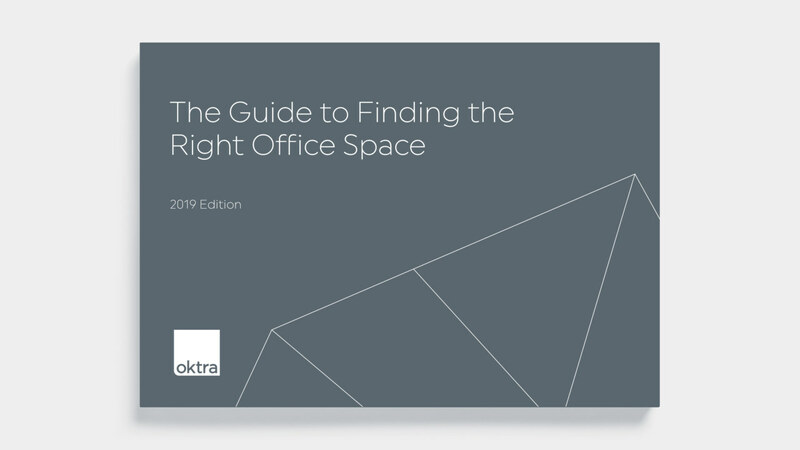 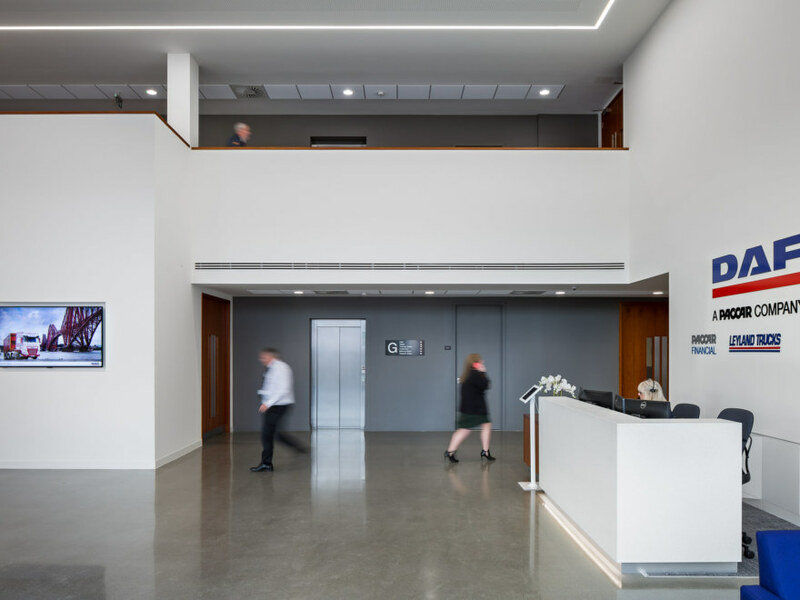 Careful planning and consideration were needed for each floor in order to coordinate each different space throughout the build, but our team was diligent with their organisation and developed a meticulous schedule to ensure a seamless delivery. 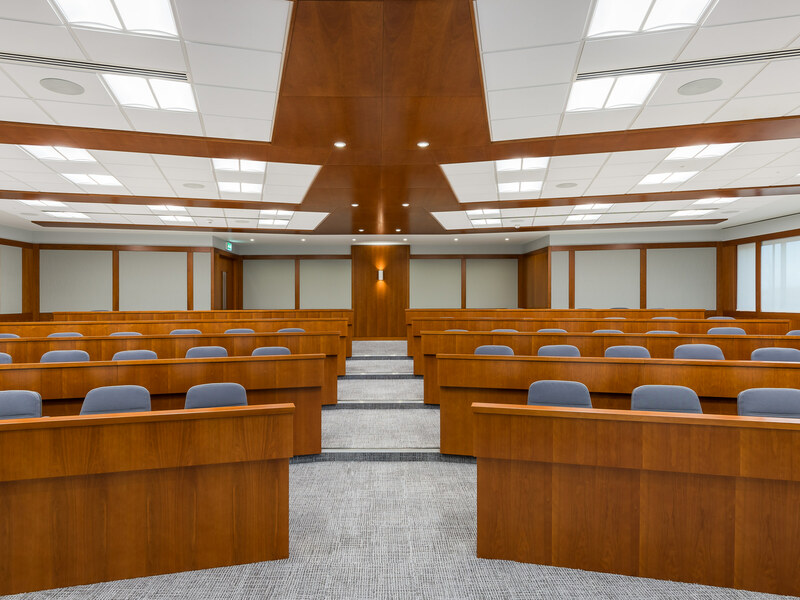 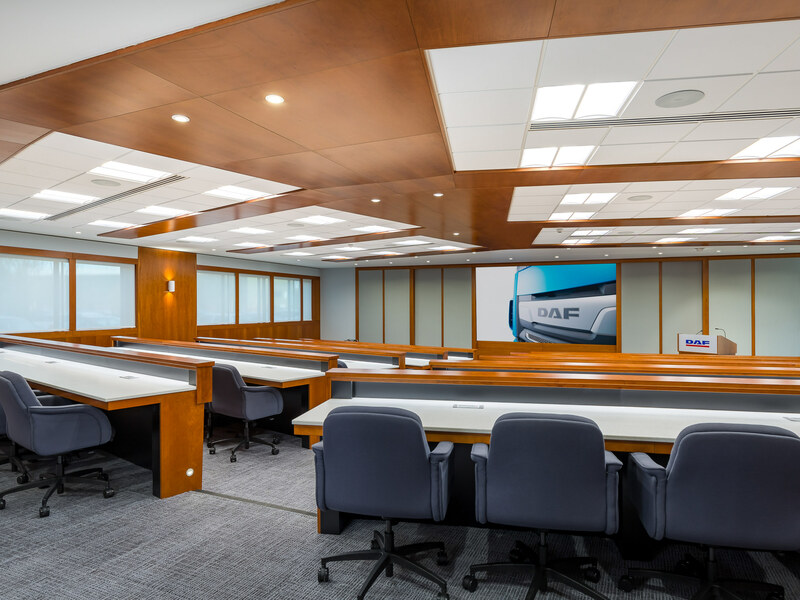 Across 50,000 sq ft we have supplied DAF with an industrial space that features four truck training bays, classrooms and a vast auditorium that mirrors one at their Seattle office. 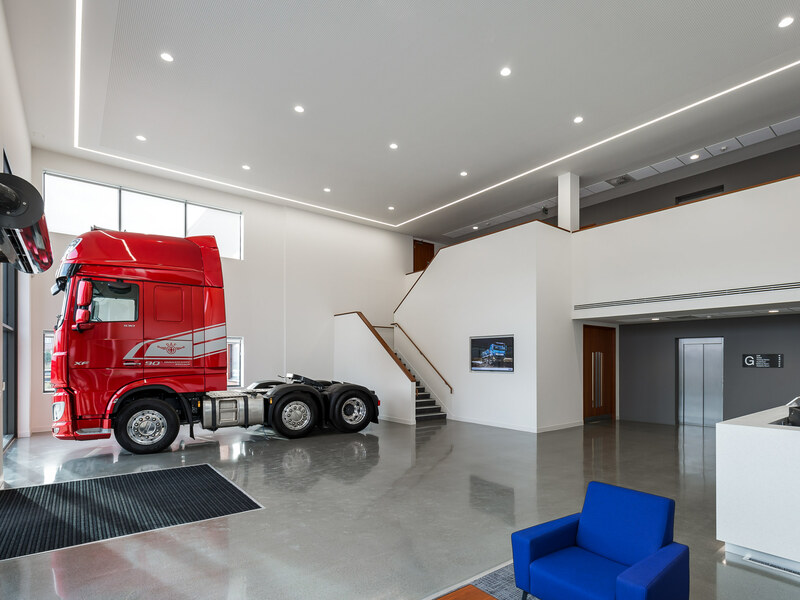 In the reception area you can find a 90th anniversary special edition truck on display with two new feature staircases connecting the multiple breakout areas, meeting rooms, cafe and 60-capacity auditorium.